King Solomon & his followers Lone Star edition #26 The only Official Ritual cipher book allowed by the Grand Lodge of Texas A. F. & A. M. King Solomon & his followers Lone Star edition #26. The only recognized cipher by the Grand Lodge of Texas A.F.&A.M. King Solomon and his followers Lone Star edition # 26. Released Fall 2017. Texas Cipher - only official ritual book approved by the Grand Lodge of Texas A. F. & A. M. King Solomon & his followers Lone Star edition #26. November 2017 release date. The book is a great help to a traveler of any level. While the cipher is not simple it is easily understood if you have the basic grasp of the work. 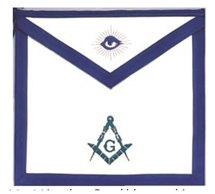 I really do wish that sale of this cipher required a current Master Mason dues card - is really NOT for EAs nor FCs Sir we were not given any conditions for the selling of this cipher from the committee of work with the Grand Lodge of Texas. Thank you for your review.